AFTER 57 MINUTES, Thierry Henry reminded everybody of what was at stake. Until then the match had felt more like an exhibition than a sporting contest, Zinedine Zidane dominating the game with an opera of feints and dribbles. When Henry blasted into the Brazilian net, however, all of his teammates finally awoke from their slumber. All except one; a player who, despite being seen as vital during the qualifiers the year before, had only played 16 minutes of the 2006 World Cup. Angered at his isolation from the squad, he stood separate and sullen from the writhing mass of congratulation. Vikash Dhorasoo was sick of trying to fit in. Thirty-six years before the World Cup quarter-final in Frankfurt, Dhorasoo’s father left the sugar plantations of Mauritius in search of a better life. After arriving in Le Havre, he secured a job on the docks while his wife worked in the school kitchens of the busy French port. They made their home in Harfleur, where they voted communist and gave birth to a future philanthropist, poker player and international footballer named Vikash. The young Dhorasoo enjoyed a typical working-class childhood, playing football with his friends and dreaming of stepping out for Le Havre at the Stade Jules Dechaseaux. 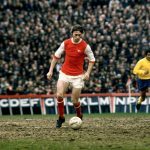 A precocious midfielder, he did enough to secure an apprenticeship with Le Club Doyen aged 15, where his talent saw him integrate quickly with the senior side. He made his debut against Saint-Étienne in August 1993, his dribbling and passing ability attracting admiring glances from some of the top clubs in Europe. Despite interest from the likes of Deportivo and Atlético Madrid, it was Lyon who signed Dhorasoo for just over £6 million in 1998, with manager Bernard Lacombe identifying the slight and silky playmaker as a potential star. With the goals of Alain Cavéglia and the guile of Philippe Violeau, Lyon secured a third-place finish that saw Dhorasoo settle quickly in the Rhône valley. Despite Sonny Anderson leading the goalscoring charts for L’OL for the next two years, Lyon could only improve on their previous finish by one place, with Réynald Denouiex’s Nantes the runaway league winners in 2001. The year before, the ineffectual Lacombe had been replaced by technical director and future Spurs flop Jacques Santini. For Dhorasoo, the impact was immediate, with the manager banishing him to Bordeaux on a season-long loan after a ‘disagreement’. It was the first glimpse into a fiery temperament that would see Dhorasoo clash continuously with authority throughout his career. In Bordeaux, Dhorasoo formed a formidable partnership with Pauleta, as the team qualified for the UEFA Cup courtesy of a fourth-place finish in the league. He could only look on, however, as his former colleagues proceeded to win the Championnat in his absence. He would soon gain a reprieve, with Santini leaving Lyon to take over the national job from Roger Lemerre in 2002. The incoming Paul Le Guen was convinced by Dhorasoo’s performances, and his decision to recall the erstwhile midfielder would help the player and club reach a new footballing echelon. After making his money in computer software, entrepreneur Jean-Michel Aulas assumed the presidency of Lyon in 1987. Until that point, Les Gones had existed mostly as an afterthought to their bitter rivals and the darlings of French football, Saint-Étienne. 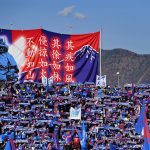 In his first season at the club, however, Lyon were promoted undefeated from the second division, with Aulas implementing a Moneyball philosophy that would churn out talents like Michael Essien and Florent Malouda in the coming years. By 2002, Lyon had firmly established themselves as the biggest team in France. Aulas, however, wanted more. Le Guen had made a name for himself with the unfancied Stade Rennais, and his ability to nurture young talents into outstanding professionals was something that Aulas admired greatly. The new coach set to work immediately, building on the triumph of the previous year by signing Mahamadou Diarra and the returning Dhorasoo. 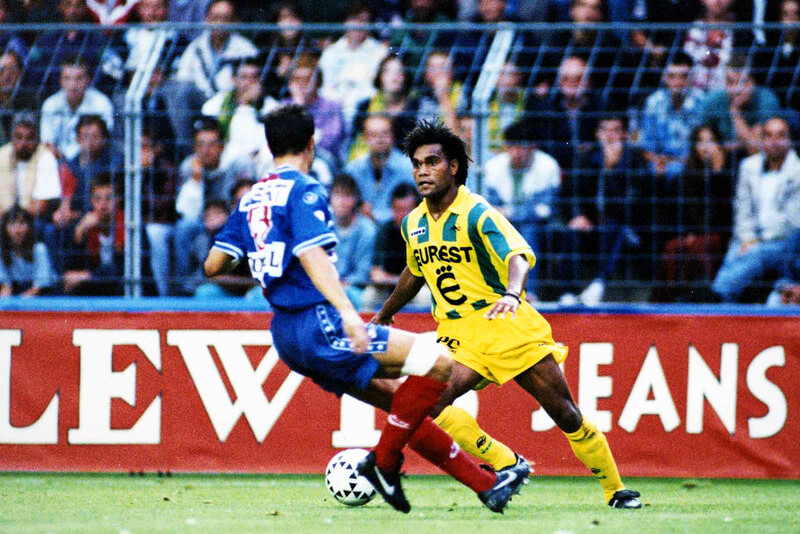 Alongside the mercurial Juninho, Dhorasoo and Lyon managed to pip Monaco to the title by one point. It was the start of a glorious era for Lyon fans, but for Dhorasoo, in particular, it was the moment where potential morphed into potency. He was the fulcrum of a phenomenal squad, where four of his teammates reached double figures for goals as they electrified the staid French league. Dhorasoo’s award for Player of the Year was apt for a talent that looked an increasingly likely successor to Zinedine Zidane’s number 10 position in the national team. By now, Le Guen had transformed Lyon into one of the most attractive sides in European football. The 2003/04 season saw his side take another leap, this time in the Champions League, where an away victory against Bayern Munich saw them qualify from a group which also contained a strong Celtic team. It was only José Mourinho’s Porto that stopped them from advancing to the semi-finals, with the goals of Deco and Ricardo Carvalho proving the difference. For Dhorasoo, however, it was another frustrating season. An injury midway through the year saw him lose his place to Mahamadou Diarra, and as the campaign drew to a close he made it clear that he wanted to leave the club. Arsenal were amongst a clutch of top European sides to show an interest, but it was Carlo Ancelotti and AC Milan who signed Dhorasoo on a free transfer in the summer of 2004. Despite his undoubted quality, Dhorasoo knew he would be a squad player in a midfield that also contained Andrea Pirlo and Clarence Seedorf. His limited playing time in Italy notwithstanding, the move was a belated recognition of his talent, especially for the French national side. Until that point, he had largely been ignored by a succession of France managers, who naturally favoured the playmaking prowess of talisman and World Cup winner Zinedine Zidane. 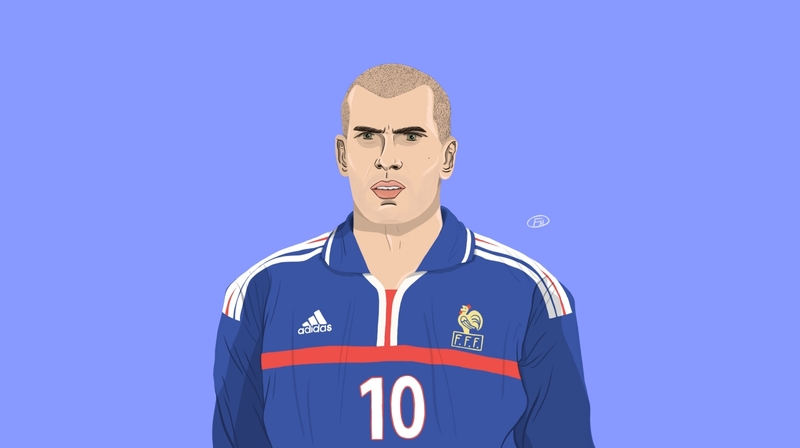 After an embarrassing exit to Greece in the Euro 2004 quarter-finals, Zidane had joined Lilian Thuram, Bixente Lizarazu and Marcel Desailly in announcing his retirement from international football. The result saw Jacques Santini lose his job and, just four years on from their second consecutive title in 2000, France were in crisis. The French Football Federation were swift in their response, appointing the professional antagonist Raymond Domenech as manager. The reaction amongst the country’s football commentariat was one of bemusement. Despite leading Lyon to a promotion in Ligue 1, Domenech was known more for his violent playing career and belief in astrology than any coaching acumen. For Dhorasoo, however, his appointment would prove fortunate indeed. His direct competitor in the team, Robert Pirès, was a Scorpio; a sign that Domenech admitted to being distrustful of. In the absence of challengers like Zidane and the Arsenal winger, and with Franck Ribéry yet to emerge, Dhorasoo was suddenly the main source of artistry for a team that lacked creative zeal. Dhorasoo performed manfully for Les Bleus, but as the Republic of Ireland threatened to usurp the French from the qualifying spot for the 2006 World Cup, Domenech took drastic action. Zidane was implored to return from international exile, immediately reclaiming his place in the team as captain and proving pivotal as France won a decisive qualifier in Dublin. Despite managing to qualify for the tournament, France were far from favourites for the trophy. They were an ageing team, destined to fail when faced with the likes of Brazil, Portugal or England. Indeed, Domenech’s men struggled to second place in the group behind a dour Switzerland team. Dhorasoo’s remarks would have been explosive had they been recorded in a post-match press conference or an exclusive interview with journalists. Instead, they were part of a dream-like documentary that he had agreed to film in partnership with his friend and artist Fred Poulet. Dhorasoo had been introduced to Poulet by his wife Émilie, and the pair struck up a friendship based on a shared appreciation of art and culture. Poulet chronicled the story of an increasingly isolated Dhorasoo as he filmed his experience from the bench, wandering the corridors of the team hotel as fans glimpsed the less glamorous side of life outside the first 11. The film, he would later tell the BBC, “isn’t about victory and champions or success and glamour – it’s about the loneliness and the possibility to not play, to be rejected”. The reviews, unlike Dhorasoo’s experience of the tournament, were favourable. “I’m getting fed up here in Germany. I wonder what I came here for, except for a film, because my World Cup went wrong,” he laments into the grainy super 8 camera. 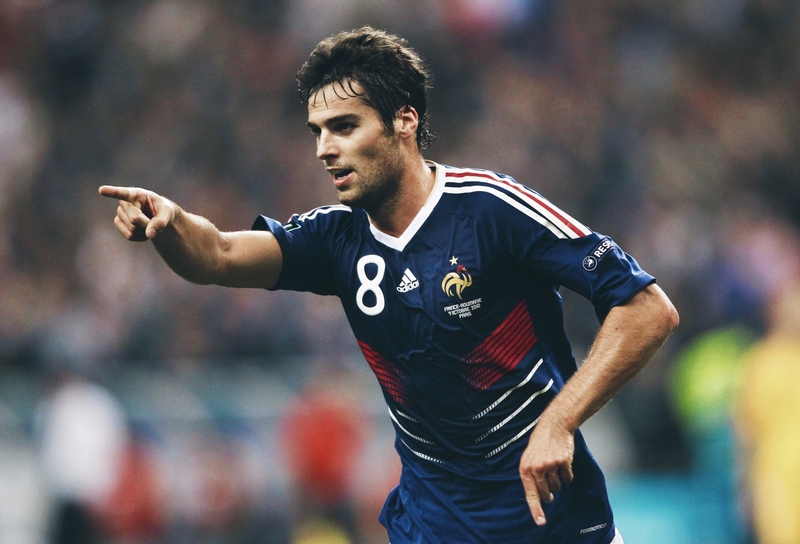 “Three days ago against Spain, I felt like crying. I’m not a supporter, I’m not a spectator, I’m a football player and I’m not playing football.” A professional highlight felt like a personal nadir, but for the erudite midfielder things would soon go from bad to worse. Dhorasoo’s solitary season in Milan proved uneventful, the staunch competition stymying any chance he had of making an impact on the pitch. He had returned to France the previous summer, signing for Paris Saint-Germain and quickly becoming the club’s most important player. A stunning goal in the Coupe de France final secured his place in the hearts of Parisian fans, but once again his relationship with the coach proved his downfall. Guy Lacombe had little time for Dhorasoo’s petulance, and the final straw came after the player gave a derogatory interview about his coach for L’Equipe magazine. In a virtually unprecedented move for a French football club, his contract was terminated shortly after, a letter from the club decrying his “refusal to play for the reserves, his lack of loyalty, also his insubordination, disobedience and his permanent air of provocation”. Dhorasoo returned for a brief spell in Serie A, signing for Ligurian minnows Livorno in July 2007. Again, it wasn’t long before things fell apart. Injured and lacking motivation, the club president accused him of unprofessional behaviour, citing his refusal to train with the youth team in order to regain his fitness. His contract was cancelled without a single appearance and, unable to secure a further contract, Dhorasoo retired from top-level football in 2008. After his retirement from the game, Dhorasoo gave a candid interview to sports journalist Jean-Michel Larqué, admitting that he took “very little pleasure” from his football career. He lamented the fact that “today I’m 35 and I know nothing else to do than play football”, as if a career in the game had denied him the opportunity to pursue a more fulfilling career. He also criticised the tendency of modern footballers to be seen as commodities first and human beings second, admitting in the same interview that the “curiosity of players is not developed”. Again, Dhorasoo was marking himself out as something different from the anodyne mass of athletes he had shared a field with. This was a man of conviction, with a temperament just as likely to get him into trouble as it was to win him a football game. It should come as no surprise, then, that he hasn’t retreated into a life of domestic bliss. An avid poker player, he joined the European tour and proceeded to make hundreds of thousands of euros as a professional. In 2011 he co-founded Tatane, a community organisation using football to strengthen social bonds in France, as well as being an avid supporter of So Foot Gay, a vehicle that aimed to reduce homophobia in the sport. Inevitably, Dhorasoo’s outspoken character has divided opinion. To some, he is a firebrand, a hot-headed preacher who should stick to what he knows. To others, he is a truth-teller, an erudite speaker and a welcome antidote to the beige parade of modern day footballers. What remains beyond doubt, however, is that he was a tremendously talented player; a master technician who blessed the pitch with his unquestionable array of skills and passing. While that may not be enough for a man of such passion, it is for the fans on the Avenue Simone Veil who will always have the memories.